Diastatic Malt is used in bread baking to enhance loaf volume, texture and flavor. 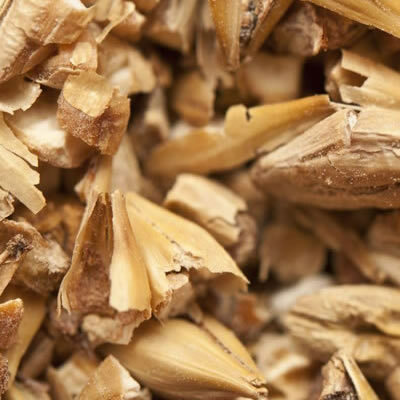 Diastatic malt is an enzymatic malt produced from sprouted grains, typically barley (more economical). However, wheat and rice grains may be used as well. Using diastatic malt has long been a secret of European bakers. It is unknown as to how bakers first discovered sprouted grains’ potential in baking. Because of the diastatic malt powder’s ability to enhance loaf volume, texture, and flavor, it is clearly a favorite secret among home and commercial bakers alike. Diastatic malt powder contains active amylase that is part of the sprouting process. There are two forms of amylase; alpha and beta. Both of which turn starches into sugars, creating food for the yeast. Degrees Lintner is used to measure the diastatic power of malt. The higher the Litner value, the higher the ability of the malt to reduce the starch to sugars. Usually, a high percentage of that sugar is maltose, which yeast loves. When using the accepted AACC method, the degrees Lintner is approximately ¼ the value of the maltose. Because the diastatic malt produces sugars, the other sweeteners in a formula may be reduced. However, note that the yeast does not consume these sugars the exact same way as traditional sugars and sweeteners. Not only does diastatic malt act as a sweetener, it also improves loaf volume, texture, and overall flavor.